Outwardly, Ben Stephens appears to be a normal, hard-working family man. In reality, his life has been in turmoil since the murder of his wife, Alice, seven years ago. The killer was never caught. Now re-married – to the woman he was having an affair with while still married to Alice – Ben’s life is once again spiralling out of control, and he’s become heavily indebted to an unscrupulous criminal who is baying for Ben’s blood. When Ben’s estranged twin sister, a police detective, unexpectedly returns to his life, asking too many questions for comfort, it becomes clear that without action, Ben’s life will soon reach a crisis point from which there will be no return. In order to avoid falling further into the mire, Ben must examine the past if he is to survive the present – but just how much pressure can one man take before he breaks? 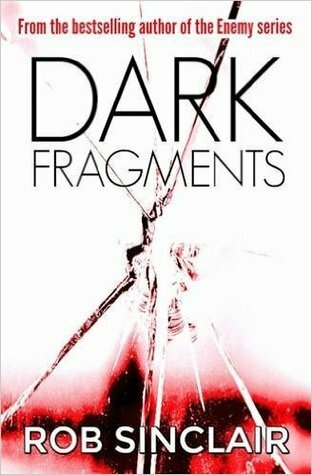 Dark Fragments is a fast-paced thriller with a blend of mystery, suspense and action that will appeal to readers of psychological thrillers, as well as a broad section of crime, thriller and action fans. If you like authors like Mark Edwards, Robert Bryndza and C.L. Taylor you will love this unforgettable thriller. This is a fast-paced psychological crime thriller that sucked me in and left me gob-smacked with its unexpected dénouement. It’s the second book that I’ve read by the author, the first being Hunt for the Enemy (click on the title for my review). Once more it contains a flawlessly constructed and suspenseful plot that kept me guessing throughout. Ben appears to be just your average hardworking guy with a wife and young family. Yet we soon find out that his first wife Alice was brutally murdered seven years previously, an episode that preys on Ben’s mind, particularly as the murderer has not been found. Ben’s marriage to Gemma, the woman with whom he was having an affair with when Alice was murdered, is far from rosy and his job is in the doldrums. Crucially the reappearance of Callum O’Grady, a crime lord to whom he turned to after Alice’s murder, puts Ben on the defensive and in fear of his safety and that of his family. At the same time Dani, his estranged twin sister, a detective inspector, walks back into his life. It soon becomes clear that her reappearance is not a coincidence and Ben struggles to cope with current and past events, all of which shape his actions. He is under unimaginable pressure and despite his best intentions his life very quickly spirals out of control until he reaches his breaking point which has implications for all around him. Once I started to read the novel I was hooked, not only due to the unfolding plot but also to the way it is written. The story is told in short punchy chapters, narrated in the first person point of view, by the protagonist Ben Stephens. Some chapters are written as the main events unfold and others retrospectively, as Ben is encouraged to reflect on what has happened, with a person whose identity we can only guess at. This has the effect of creating a suspenseful read, not only allowing us into Ben’s thought processes, but often foreshadowing events and putting a different perspective on what we have just witnessed. There are some violent and disturbing scenes in the book but they are integral to the plot. I found myself at first rooting for and then cringing at Ben’s actions in response to events as the tale unfolded. I will not reveal any more. It is enough to say that I hugely enjoyed this read. The characterisations, particularly that of the volatile Ben, are superb and the plot clever and suspenseful. It left me wondering to what extent we are all victims of fate or whether we ultimately have control over events. Recommended for fans of crime thrillers, particularly those who like a psychological read.